SPEAK DURING PUBLIC COMMENT ON TUESDAY, NOVEMBER 4th At 7:30pm: In Support of Kingston’s Common Council Being Listed as an ‘Involved Agency’ in SEQR. The Niagara Bottling Company’s proposal must be thoroughly evaluated for its environmental and economic impacts on our region. It is premature and irresponsible to agree to sell our water before due diligence is performed. 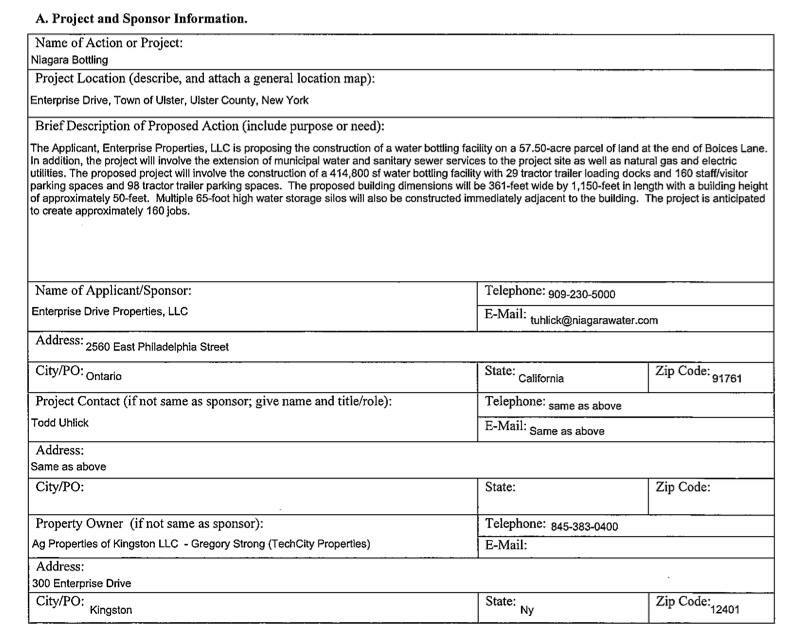 KingstonCitizens.org proudly announces it’s new Citizen Committees to focus on the Proposed Niagara Bottling Water Sale in Kingston, NY. Residents are invited to join and are asked to be in touch with the chair of any of the committee’s of interest by Friday, October 31st. First meetings will be organized the week of November 3rd. If you happen to miss the deadline, don’t fret! Citizens can join at any time. We are simply looking to get a head count prior to each committee’s first official meetings. 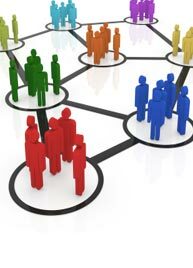 VISIT the KingstonCitizens.org ‘Citizen Committees’ page. You will find it in the menu heading. 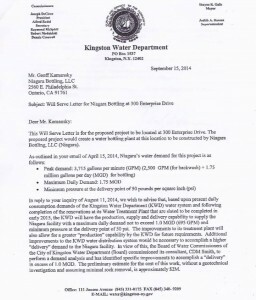 Click on ‘Proposed Niagara Water Sale’ for all committee information. Below is our recent press release and a list of the committees for easy access. It’s an incredible and exciting crew of citizen leaders! Join us as we broaden our abilities and thank you for your participation. 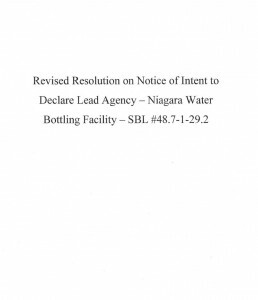 Although the DEC declined to take Lead Agency of the SEQR for the proposed Niagara Bottling Company project, they do bring many important things to light in their letter. All of which can help us to ultimately assure a fair SEQR process which is our aim. 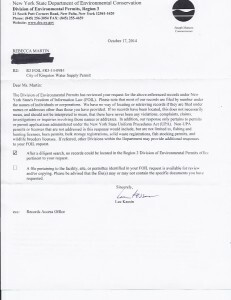 ACTION: Contact Martin Brand of DEC Regarding SEQR Action and Lead Agency. 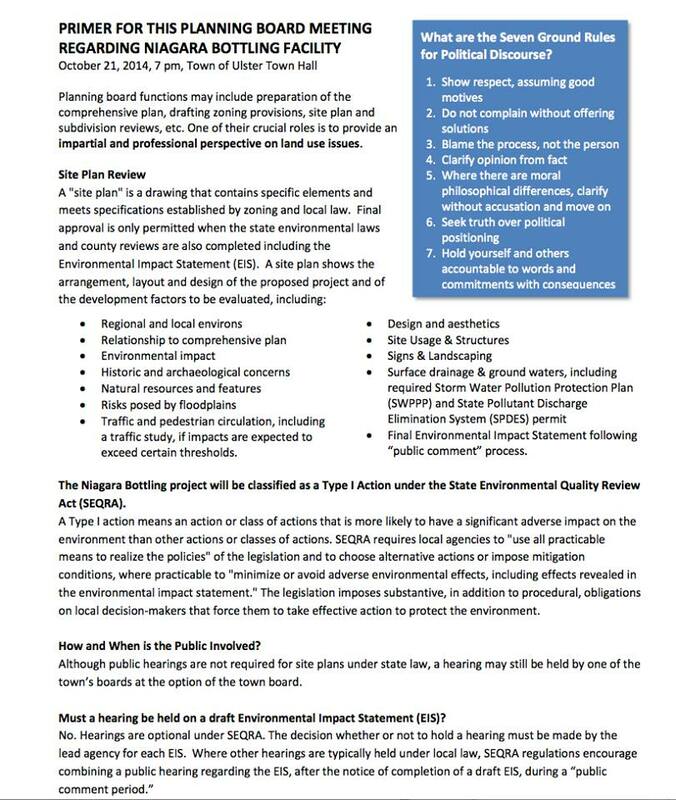 ACTION: Contact all listed below to alert them that the ACTION in the current Environment Assessment Form (EAF) for SEQR (drafted by Niagara/The Chazen Companies) is too narrow in scope. 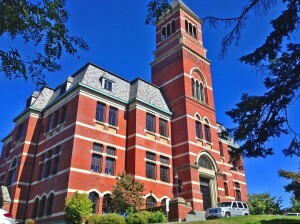 It does not include the SALE of water from its supply sources in Woodstock to Niagara and is a critical part of the entire project that needs to be environmentally reviewed by SEQR under ONE Lead Agency (that being the DEC) before any decisions can be made or actions taken by any involved agency, including the City of Kingston Water Department. The Town of Ulster Planning Board from 10/21/14. Special thanks to Clark Richters of Kingston News for capturing the evening. Over the past four weeks KingstonCitizens.org, which was created almost a decade ago to help to connect Kingston residents to its local government so to encourage transparency and better communication, has become the hub for information for our entire region regarding the proposed Niagara Bottling Company project. Without a doubt, the project concerns are many. But it is the potential of selling our most precious natural resource – the public’s water to a national bottling company – that is our most pressing concern. Sure, many of us would like to eliminate plastic bottles. Some may not be fond of ‘Corporate America’ (as Supervisor Quigley proclaimed last week on-air). But the real problem here….is the concept of selling off the public’s WATER to a national bottling company. You can’t compare it to beer, to milk, to soda. We are talking about millions and millions of gallons of water each day being drained from our water source. There isn’t any comparison. Click on the image for a PDF copy. Today, we received a copy of the the ‘Will Serve’ letter (we had heard others and ourselves had been calling it a ‘Will Share’ letter. 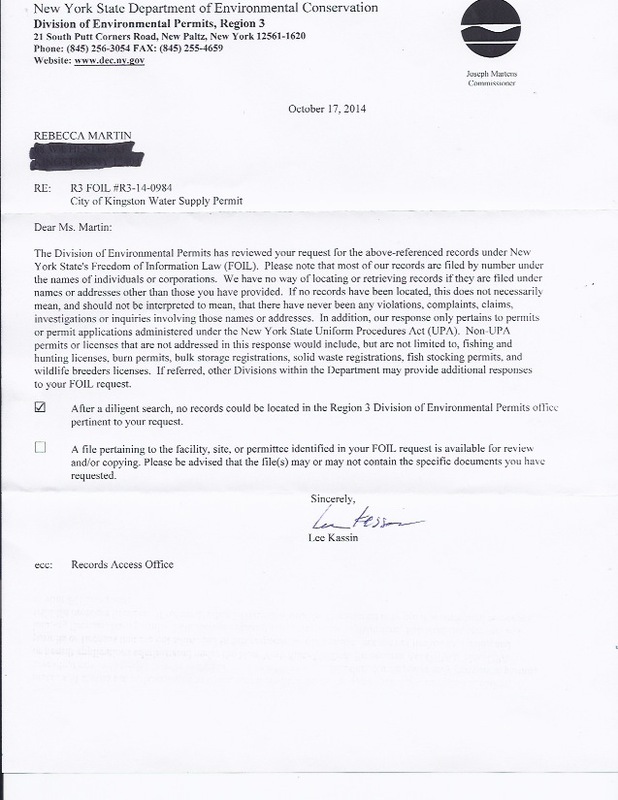 The proper term is ‘Will Serve’) issued by the Kingston Water Department to Niagara Bottling, LLC on September 15th, 2014. It was done the day before Peter Romano of The Chazen Companies gave their presentation to the Town of Ulster Planning Board on September 16th (click on link to listen. Romano’s presentation begins at 1:15:26), 2014. As you recall, the Planning Board that evening agreed to pass ‘Lead Agency’ of the SEQR process along to the Town of Ulster Town Board. 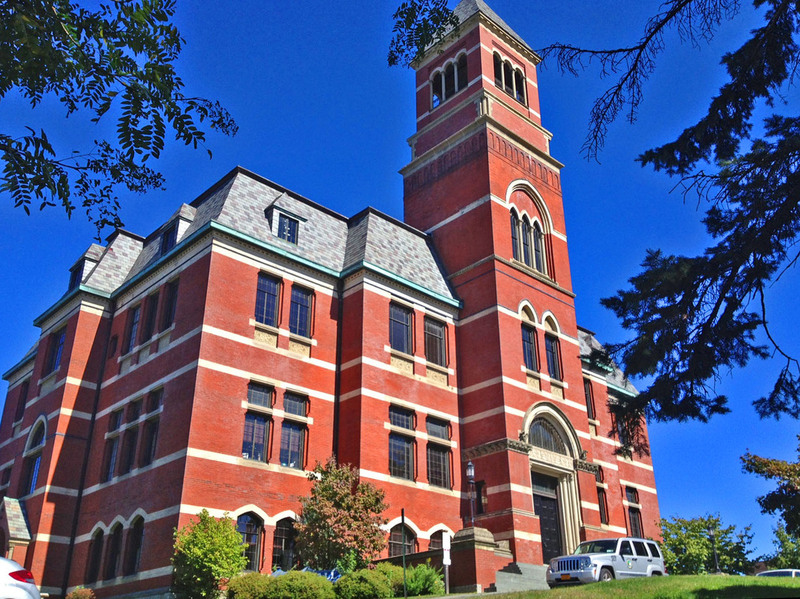 A resolution passed on September 18th, 2014 for The Town of Ulster as ‘Lead Agency‘ (click on link to listen. The Town Board discussion on Lead Agency begins at 16:30). 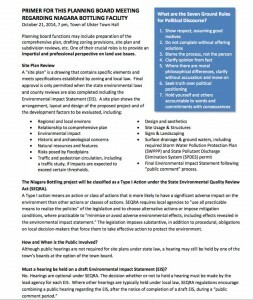 This is a great primer for the Planning Board meeting this evening created by Jennifer Schwartz Berky, a Kingston resident and planning professional. It should help you a great deal in following along. 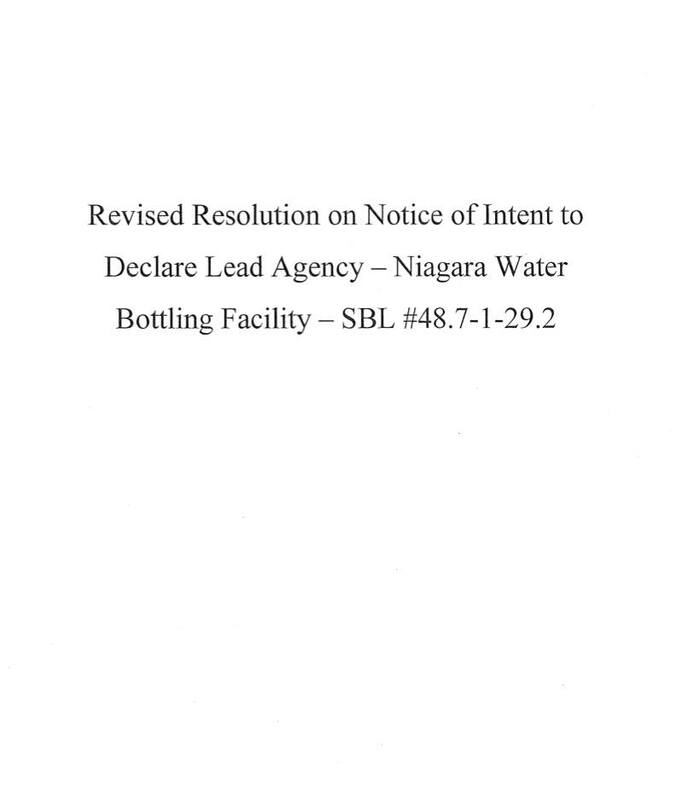 Last night the Town of Ulster Town Board expanded both their ‘Involved’ and ‘Interested’ Agency list on a “Revised Resolution on Notice of Intent to Declare Lead Agency” (see pages 38 – 44) for the Niagara Bottling Facility project. We are disappointed that involved parties don’t also include the Town of Woodstock, City of Kingston and Town of Esopus. 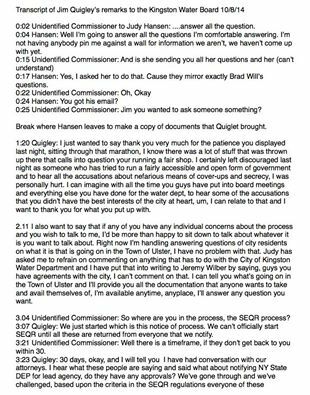 We are pleased to share the transcript of the Town of Ulster Superintendent Jim Quigley addressing the Water Board on 10/8/14 following their Executive Session and after the public had left.